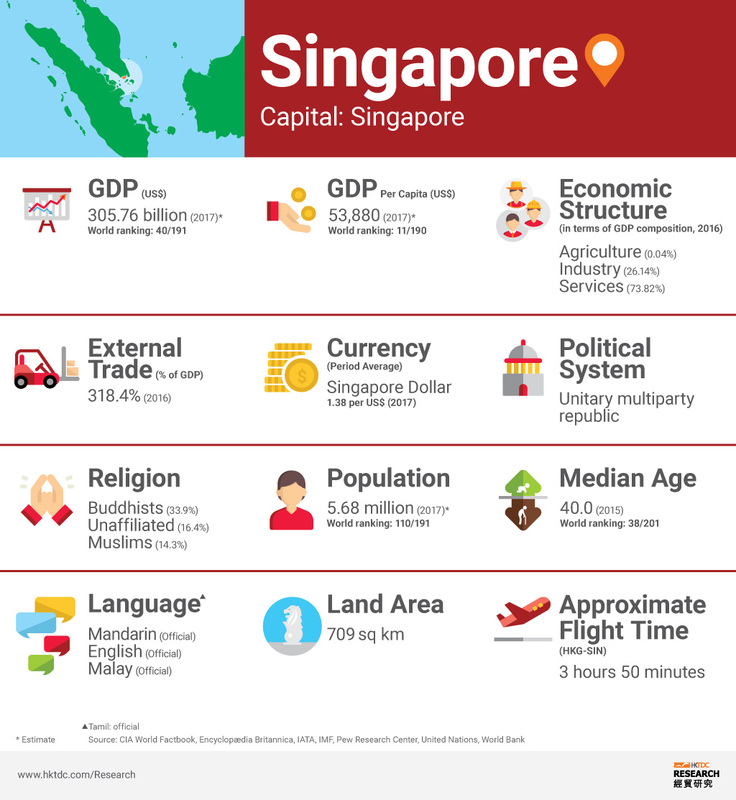 Singapore is one of the world's most prosperous countries, with strong international trading links and with a per capita income level comparable to or exceeding that of many nations in Western Europe. 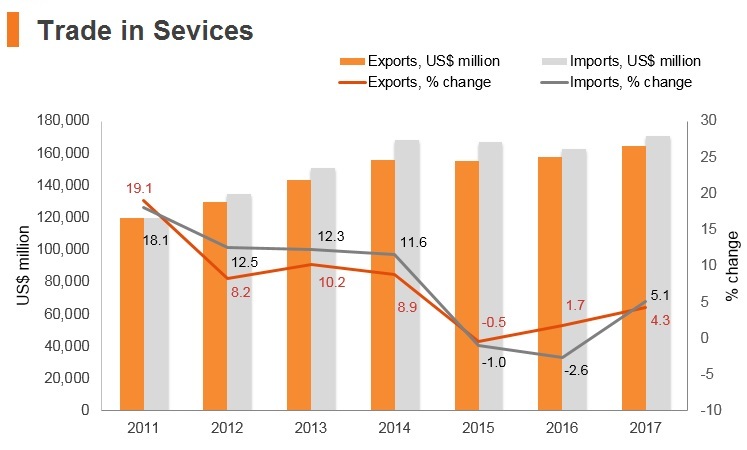 The economy depends heavily on exports, particularly in information technology products and pharmaceuticals, as well as a vibrant financial services sector. The city-state provides one of the world’s most business-friendly regulatory environments for local entrepreneurs and is ranked among the world’s most competitive economies. With strong financial support from the government, the ‘Skillsfuture’ initiative aims to strengthen the flexibility of the workforce by providing continuing education that deepens technical and managerial skills across sectors. General elections held after the dissolution of parliament in August of the same year by President Tan. The People's Action Party (PAP) took 83 of the 89 available seats. Lee Hsien Loong took up his third term as Prime Minister. Singapore announced that it will spend more than USD1.5 billion on expanding the capacity of its military training bases in Australia as part of a 25-year agreement. 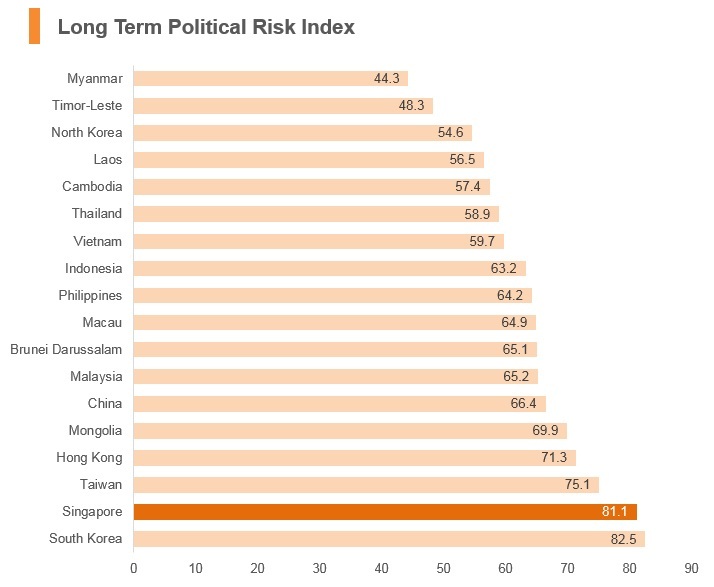 After President Tony Tan's term ended in August 2017, elections were scheduled for September. Halimah Yacob was the only eligible candidate by the country's Election Department and, thus, ran unopposed. She was inaugurated as the President of Singapore on September 13. This was the first election in Singapore after the country amended its constitution to create a provision for elections to be reserved for candidates from specific ethnic/racial groups on a rotating basis. Singapore hosted the first of two Association of South East Asian Nations (ASEAN) summits within its borders in April 2018. Singapore has been a member of WTO since January 1 1995. 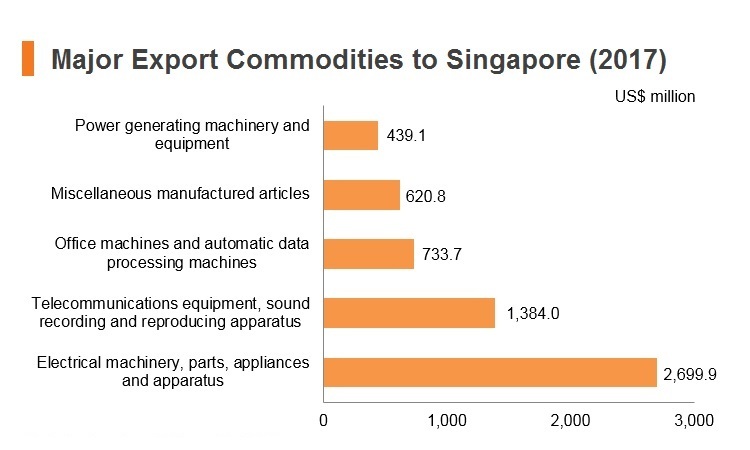 Singapore is generally a free port and open economy and consequently, the average tariff is 0%. 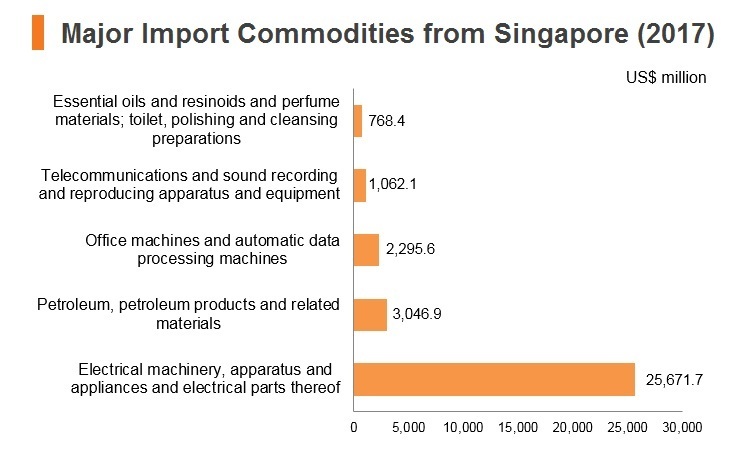 More than 99% of all imports into Singapore enter the country duty free. For social and environmental reasons, Singapore levies high excise taxes on beer, wine and liquor, tobacco products, motor vehicles and petroleum products. Singapore also restricts the import and sale of non-medicinal chewing gum. A goods and services tax (GST) is charged at 7% on the supply of goods and services made in Singapore by a taxable person in the course or furtherance of business. It was announced in the 2018 budget that this rate would be increased to 9% between 2021 and 2025. The only exemptions from GST are prescribed financial services (including life insurance), the sale or rental of residential properties, and the import and local supply of investment precious metals (IPM). GST is not currently charged on imports of services, although this will change from January 1, 2020 with the introduction of a reverse-charge on local businesses that make exempt supplies, and those which do not make any taxable supplies, to account for GST on the services they import. For dutiable goods, the taxable value for GST is calculated based on the CIF (Cost, Insurance, and Freight) value, plus all duties and other charges. In the case of non-dutiable goods, GST will be based on the CIF value plus any commission and other incidental charges whether or not shown on the invoice. If the goods are dutiable, the GST will be collected simultaneously with the duties. Special provisions pertain to goods stored in licensed warehouses and free trade zones. Labels are required on imported food, drugs, liquors, paints and solvents and must specify the country of origin. There are two levels of labelling requirements for medicinal products. Administrative labelling requirements are not statutory requirements and are specified in the Health Sciences Authority's Guidance on Medicinal Product Registration in Singapore. Compliance is checked during the product registration process, prior to granting marketing approval. Legal labelling requirements are stipulated in the legislation related to medicinal products regulation in Singapore and are subject to the Health Sciences Authority's surveillance programme. The 'Safety Mark' is used for selected electrical and electronic products as well as gas appliances which are sold to consumers for use in Singapore households. All registered controlled goods must be tested to specific international and national safety standards and certified safe by designated product certification bodies. The 'Accuracy Label' covers weighing and measuring instruments intended for trade use. In Singapore, all weighing and measuring instruments used for trade purposes (such as price computing scales in supermarkets, baggage weighing machines at airports and seaports as well as fuel dispensers at petrol stations) are regulated under the Singapore Weights and Measures Act and Regulations. 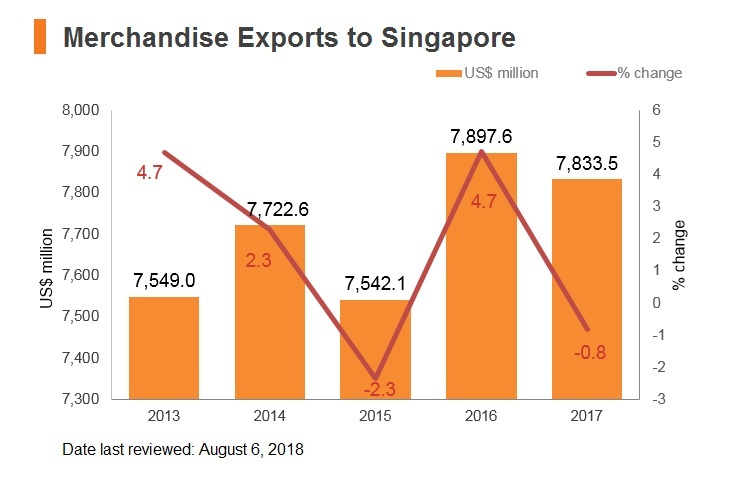 Singapore is a member of a number of free trade agreements (FTAs), which create a legally binding agreement between two or more countries to reduce or eliminate barriers to trade. The country first signed an FTA under the ASEAN Free Trade Area in 1992, and has since expanded its network to cover 20 regional and bilateral FTAs with 31 trading partners. ASEAN: In addition to Singapore, members include Brunei Darussalam, Cambodia, Indonesia, Laos, Myanmar, Philippines, Malaysia, Thailand and Vietnam. 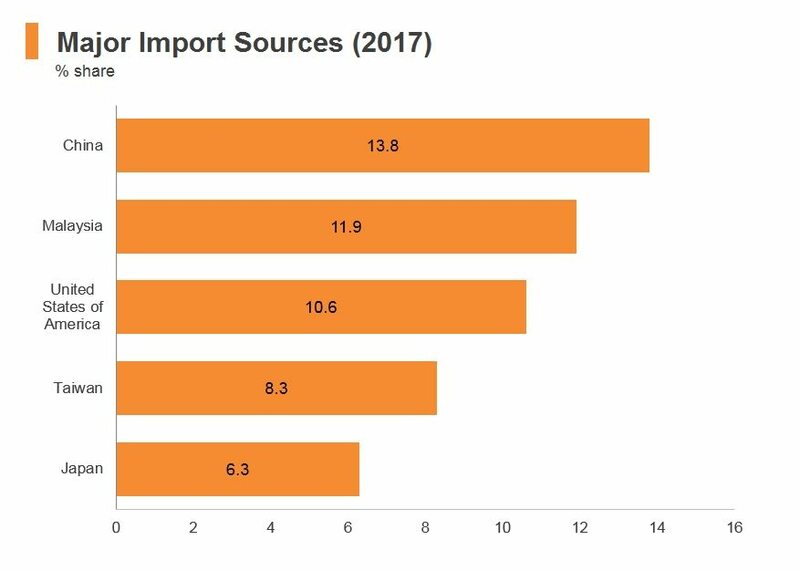 From 2015, almost all tariffs between member states have been removed in the ASEAN Free Trade Area. The rewards of lower tariffs within the area have been seen, with regional trade booming. The ASEAN Economic Community (AEC) which is currently under negotiation will also serve to strengthen regional economic ties and improve trade volumes in Singapore. The AEC creates new opportunities and makes the investment case for business in South East Asia more compelling. Japan and the Republic of Singapore for a New-Age Economic Partnership Agreement (JSEPA): The agreement has brought substantive benefits to Japan and Singapore by laying a solid foundation for former economic linkages and integration between the two countries. Under the existing JSEPA, Japan increased its zero-tariff commitments from 34% of total tariff lines under WTO to 77%. JSEPA also liberalised trade in services significantly, expanding its commitments from 103 services sectors under WTO to 135. This will be of benefit to businesses due to the high trade volumes between the two countries and potential for businesses to explore new markets in the region. The scope of the JSEPA can be categorised into mainly three areas: trade liberalisation and market access through concessions for trade in goods and services; enhanced cooperation for non-trade areas; and institutional arrangements centred on a dispute settlement mechanism. Singapore also benefits from the ASEAN-Japan Comprehension Economic Partnership (AJCEP). 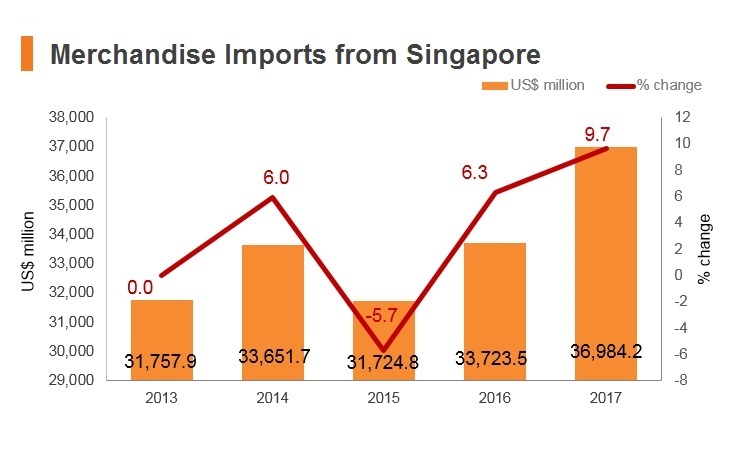 China-Singapore FTA: The China-Singapore FTA further enhances economic cooperation between the two nations as the free trade accord facilitates productive competition. It also contributes to the economic integration of East Asia and the Asia-Pacific region. Under this Agreement, the two countries accelerate the liberalisation of trade in goods on the basis of the Agreement on Trade in Goods of the China-ASEAN FTA and further liberalise the trade in services. 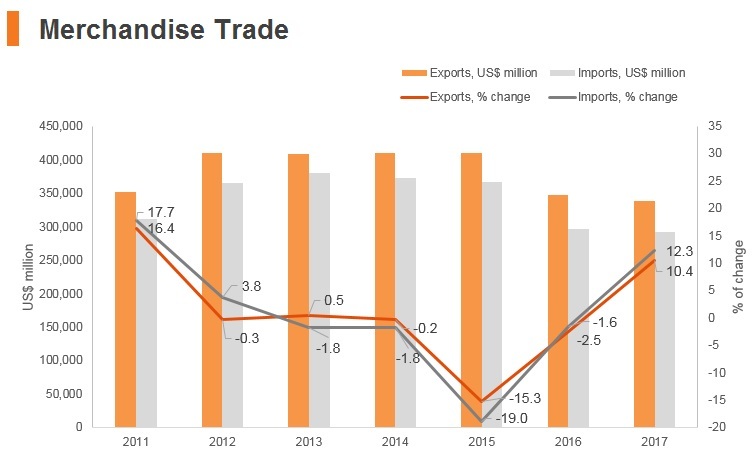 US-Singapore FTA and Economic Integration Agreement: Under this FTA, firms in Singapore benefit from reduced trade barriers and a large market with a high propensity for consumption of manufactured goods. 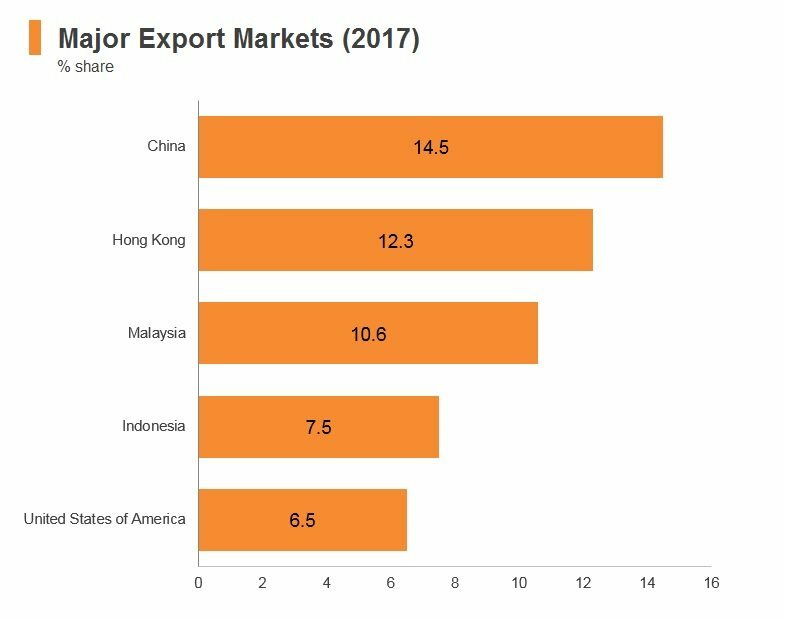 Regional Comprehensive Economic Partnership (RCEP): The RCEP is a proposed FTA between the 10 member states of the ASEAN and the six states with which the ASEAN has existing FTAs, namely Australia, China, India, Japan, South Korea and New Zealand. 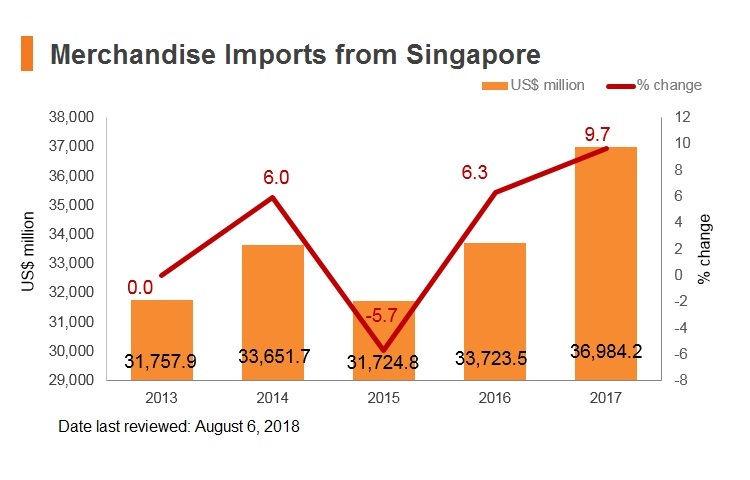 This agreement is expected to speed up the economic integration of the states involved and increase Singaporean exports' competitiveness in the global market. 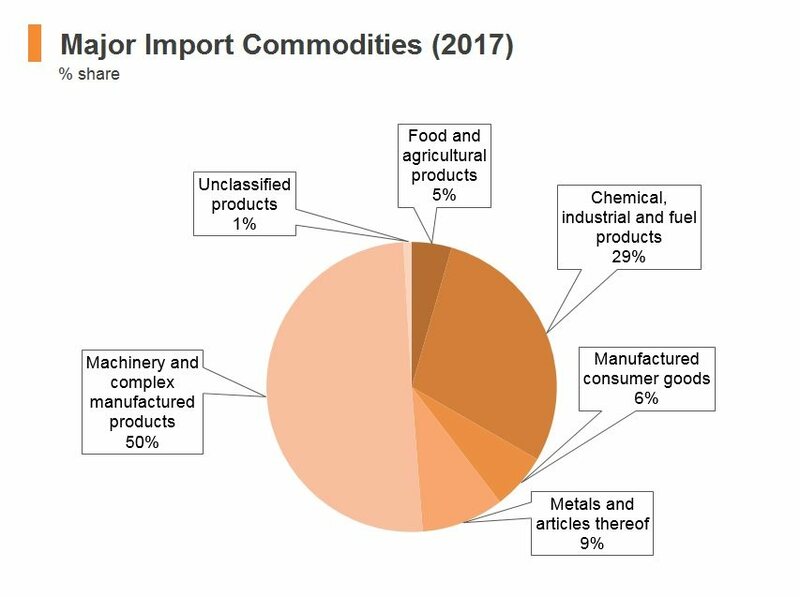 Singapore-European Union (EU) FTA: The Singapore-EU FTA aims to eliminate duties for industrial and agricultural goods in a progressive, step-by-step approach. The agreement also creates new opportunities for market access in services and investments and includes provisions in areas such as competition policy, government procurement, intellectual property rights, transparency in regulation and sustainable development. The Comprehensive and Progressive Agreement for Trans-Pacific Partnership (CPTPP): The CPTPP consists of Australia, Brunei, Canada, Chile, Japan, Malaysia, Mexico, New Zealand, Peru, Singapore, and Vietnam. It is a deal involving 11 economies worth about USD28 trillion, and it aims to cut tariffs, improve access to markets and set common ground on labour and environmental standards and intellectual property protections. Government bodies that are responsible for FDI promotion, licencing and regulations - The Economic Development Board (EDB), established in 1961. 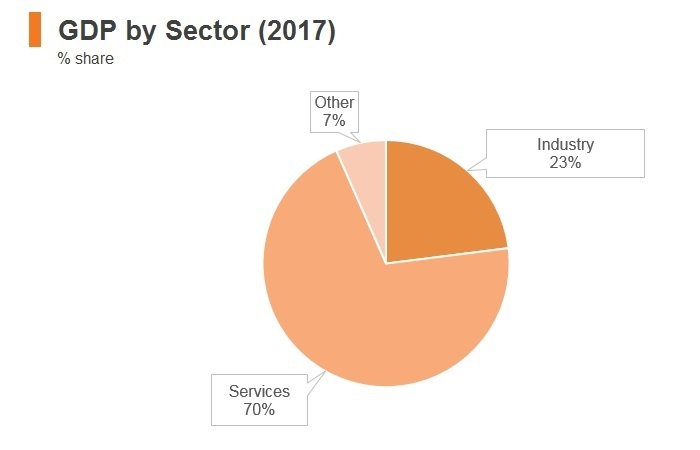 The Productivity and Innovation Credit (PIC) scheme allows business to enjoy 400% tax deductions (up to SGD400,000) or 60% cash pay-out (up to SGD100,000) for investments in innovation and productivity improvements, with a particular emphasis on assisting small- and medium-sized enterprises (SMEs) that have been hardest hit by the ongoing labour tightening measures. The PIC scheme has been extended to run for 2018 as well. 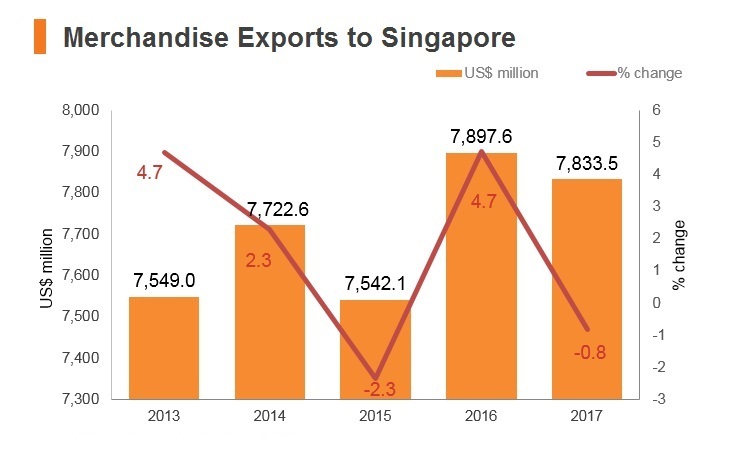 Foreign and local firms in Singapore have equal access to the free trade zone (FTZ) facilities. Singapore has eight FTZs: six for seaborne cargo and two for airfreight. The media sector is partially restricted from foreign investment (foreign ownership may not exceed 49%). Singapore adopts a one-tier taxation system, under which all Singapore dividends are tax-exempt in the shareholder's hands. Tax on corporate income is imposed at a flat rate of 17%. A partial tax exemption and a three-year start-up tax exemption for qualifying start-up companies are available. Foreigners in Singapore face restrictions in the real estate market and are not allowed to acquire all the apartments within a building or all the units in an approved condominium apartment without prior approval. For landed homes (houses) and vacant residential land, prior approval is required. There are no restrictions on foreign ownership of industrial and commercial real estate. Property tax is levied annually on the annual value of houses, land, buildings, or tenements. For residential properties, owner-occupier tax rates range from 0% to 16% and non-owner occupier tax rates range from 10% to 20%. The tax rates depend on the annual value bands. For non-residential properties, such as commercial and industrial buildings and land, the tax rate is 10%. Stamp duties are levied on written documents relating to immovable properties, leases, and stocks and shares. Leases attract duty at 0.4% of the total rent (for leases of up to four years) or 0.4% of four times the average annual rent for the period of the lease (for leases longer than four years), but leases with average annual rent not exceeding SGD1,000 are exempt from stamp duty. Instruments effecting the transfer of stocks and shares are subject to stamp duty of 0.2% on the purchase price or market value of the shares transferred, whichever is higher. Since January 2005, qualifying full banks licensed by the government have been able to open a maximum of 25 locations. Non-resident banks in the retail banking sector are not afforded national treatment. Although the government has removed a 40% ceiling on foreign ownership of local banks, it has stated that it will not approve the foreign acquisition of any local bank. All businesses (local and foreign) must be registered with the Accounting and Corporate Regulatory Authority. The government screens investment proposals to check if they qualify for incentive packages. There are various tax incentives available to taxpayers involved in specified activities or industries identified as being beneficial to Singapore's economic development. Tax incentive applications are typically subject to an approval process during which the administering agency evaluates the applicant's business plans in detail. Generally, applicants are expected to carry out substantive, high value activities in Singapore, and will be required to commit to certain levels of local business spending and skilled employment. FTZ: Brani Terminal, Keppel Distripark, Pasir Panjang Terminal, Sembawang Wharves, Tanjong Pagar Terminal, Keppel Terminal, Jurong Port, Airport Logistics Park of Singapore and the Changi Airport Cargo Terminal Complex - VAT/GST is suspended for imported goods deposited in a FTZ, and will only be payable upon removal from the FTZ for local consumption. - VAT/GST is not payable on supply made in FTZ if the goods supplied are meant for transhipment or re-export. - The FTZs at the port facilitate various trade activities and promote the handling of transhipment cargo. They offer free 72-hour storage for import/export of conventional and containerised cargo and 140-day free storage for transhipment/re-export cargo. - The Land Intensification Allowance provides an initial tax allowance of 25% and annual tax allowance of 5% on qualifying capital expenditure incurred for the construction or renovation/extension of a qualifying building or structure. This allowance is available to businesses in industry sectors which have large land takes and low Gross Plot ratios. - A pioneer enterprise is exempt from income tax on its qualifying profits for a period of up to 15 years. - The Development and Expansion Incentive (DEI) is available to companies that engage in high value-added operations in Singapore, but do not qualify for pioneer incentive status, and to companies whose pioneer incentive DEI companies enjoy a concessionary tax rate of not less than 5% on their incremental income derived from the performance of qualifying activities. The maximum initial relief period is 10 years, with possible extensions not exceeding five years at a time, subject to a maximum total incentive period of 20 years. General Tax incentives Tax incentives are administered by various government agencies, including the Economic Development Board, International Enterprise Singapore, the Monetary Authority of Singapore and the Maritime Port Authority of Singapore. 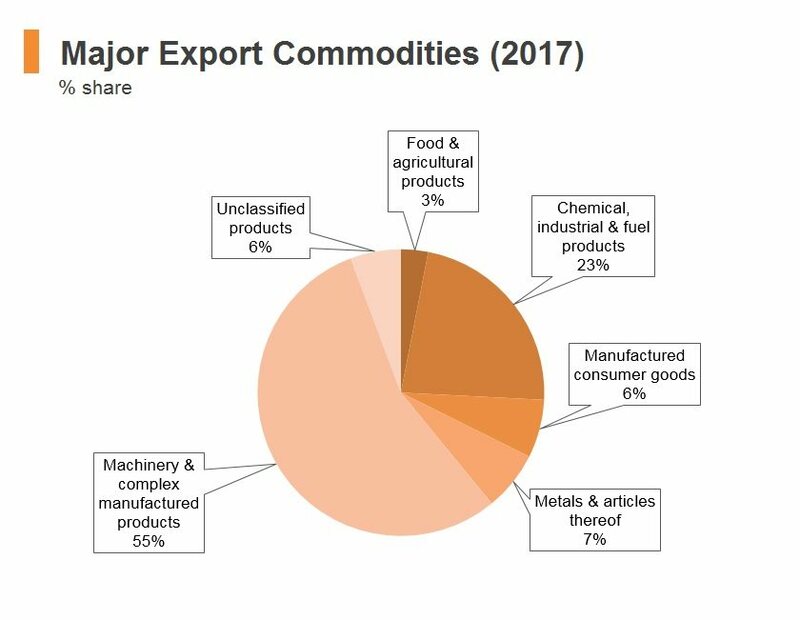 The broad categories of activities that could qualify for tax concessions include manufacturing, services, trade and finance. Incentives for internationalisation The double tax deduction scheme for internationalisation allows companies expanding overseas to claim a double deduction for eligible expenses for specified market expansion and investment development activities. This includes manpower expenses incurred when Singaporeans are deployed to overseas entities. Productivity and Innovation Credit (PIC) The PIC scheme provides for an enhanced 400% deduction for qualifying expenditure incurred in respect of six qualifying activities during the accounting periods that ended between 2010 and 2017 (i.e., years of assessment 2011 to 2018). The six qualifying activities are the acquisition or leasing of prescribed IT and automation equipment, staff training, the acquisition of intellectual property (IP), the registration of IP rights, research and development and design. The enhanced deduction is available only on the first SGD400,000 of qualifying expenditure incurred each year on each of the qualifying activities. For the years of assessment 2015 to 2018, qualifying small and medium enterprises may claim PIC benefits for up to SGD600,000 of such expenditure for each qualifying activity a year. Certain activities are subject to approval or minimum ownership requirements. Headquarters schemes Approved regional headquarters in Singapore are taxed at a concessionary rate of tax of 15% on qualifying overseas income. Depending on their level of economic commitments to Singapore, international headquarters can apply for various tax incentives. Maritime Sector Incentive (MSI) scheme The MSI scheme is the umbrella incentive for the maritime sector. Incentives offered include tax exemption for shipping companies and a 10% concessionary tax rate for international freight and logistics operators. Approved ship investment managers are also taxed at 10% on qualifying management-related income. The scheme also includes approved ship investment vehicles, which are tax exempt on their qualifying vessel lease income; approved container investment enterprises, which are taxed at 5% or 10% on qualifying income from container-leasing; and approved container investment management companies, which are taxed at 10% on qualifying management fees. Global Trader Programme (GTP) International traders are taxed at concessionary rates of 5% or 10% on qualifying income from physical trading, brokering of physical trades, and derivative trading income. 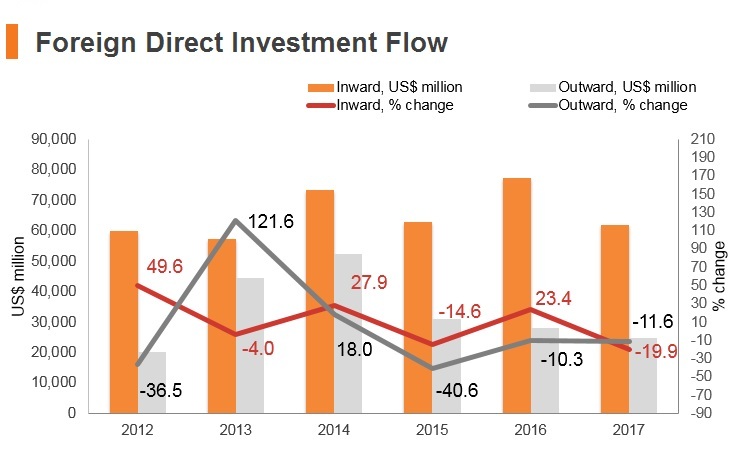 Mergers and acquisitions allowance Mergers and acquisitions allowanceThe mergers and acquisitions allowance allows a write-off, over five years, of 25% of the value of qualifying mergers or acquisitions deals executed between April 1, 2015 and March 31, 2020, subject to a cap of SGD5 million (SGD10 million for deals executed from April 2016 to March 31, 2020) per year of assessment. This incentive is available to companies that are incorporated, tax resident, and carrying on a business in Singapore; however, this requirement may be waived for companies under the headquarters schemes and the MSI. A 200% tax allowance is also granted on transaction costs (capped at SGD100,000 per year of assessment) incurred on qualifying deals. Investment allowance Under the investment allowance, a tax exemption is granted on an amount of profits based on a specified percentage (of up to 100%) of the capital expenditure incurred for qualifying projects or activities within a period of up to five years (up to eight years for assets acquired on hire-purchase). Capital expenditure incurred for productive equipment placed overseas on approved projects may likewise be granted integrated investment allowances. 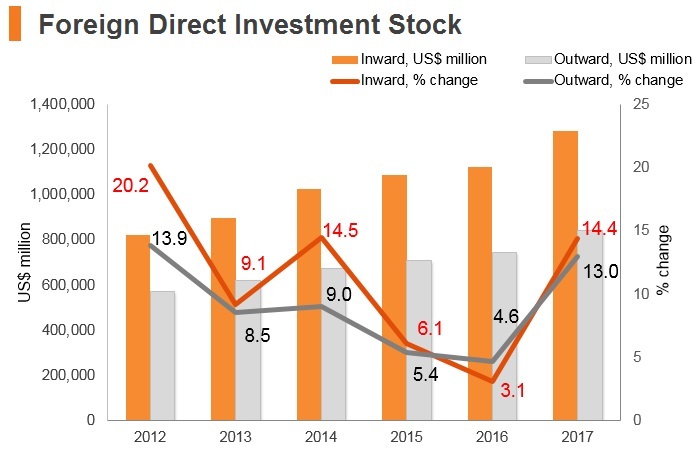 Investment allowances of 100% of capital expenditure (net of grants) may be granted to businesses seeking to make substantial investment in automation, subject to a cap of SGD10 million per project. The Pioneer incentive Corporations manufacturing approved products with high technological content or providing qualifying services may apply for tax exemption for five to 15 years for each qualifying project or activity under the pioneer tax incentive. Corporations may apply for their post-pioneer profits to be taxed at a reduced rate under the Development and Expansion Incentive. Financial services incentives Under the FSI scheme, income from certain high growth, high-value-added activities, such as services and transactions relating to the bond market, derivatives market, equity market and credit facilities syndication, may be taxed at 5%, while a broader range of financial activities will qualify for a 12% tax rate. This rate has been increased to 13.5% for awards granted or renewed from June 1, 2017, and the scope of qualifying income has been expanded (broadly speaking, certain currency, counterparty, and investment instrument restrictions have been removed). The tax incentive period may last for five, seven, or 10 years, subject to certain conditions being met. Finance and treasury centre (FTC): Income derived by an FTC is taxed at a reduced rate of 8%. 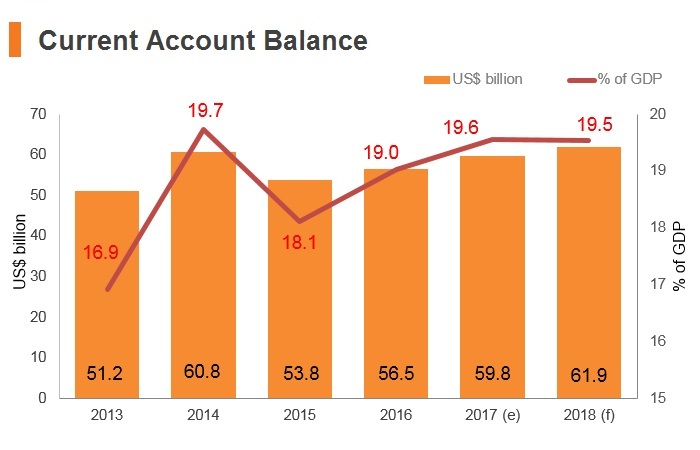 Interest payments to overseas banks and approved network companies are also exempt from withholding tax (WHT) where the funds borrowed are used for approved activities. A package of tax concessions is available to various players in the Singapore bond market, including those involved in certain Islamic financing arrangements. The Insurance Business Development (IBD) scheme is an umbrella incentive for the insurance sector. Incentives offered under this scheme include a 10% concessionary tax rate for qualifying income of insurers and income derived from the provision of insurance broking and advisory services. Real Estate Investment Trusts (REITs): Distributions made to foreign non-individual investors by a listed REIT out of rental income from Singapore real estate are subject to a reduced tax rate of 10%, subject to certain conditions being met. Listed REITs investing in foreign properties can apply for tax exemption for certain foreign income received in Singapore. Distributions out of this income similarly are exempt. From July 1, 2018 to March 31, 2020, tax transparency treatment will be accorded for specified income of Singapore-listed REIT Exchange-Traded Funds. Islamic financing arrangements: The income tax, stamp duty, and GST treatment of prescribed Islamic financing arrangements and Islamic debt securities (sukuk) are aligned with that of the conventional financing contracts to which they are economically equivalent, subject to certain conditions. Infrastructure project finance incentives: Tax exemption is available for interest income earned from qualifying investments in qualifying infrastructure projects/assets. FSI companies that provide project finance advisory services related to qualifying projects/assets may enjoy certain tax concessions for their qualifying income, and companies that provide management services to qualifying business trusts and funds pay tax at 10% on their qualifying income. Sovereign wealth funds: Tax exemption is available for income derived by a sovereign fund entity and an approved foreign government-owned entity from funds managed in Singapore. A Singapore Variable Capital Companies (S-VACC) will be treated as a company and a single entity for tax purposes. The tax exemptions for income from funds managed in Singapore and the existing GST remission for funds will be extended to qualifying S-VACC. A 10% concessionary tax rate under FSI incentive for fund managers will be extended to approved fund managers managing an incentivised S-VACC. This tax framework will take effect when or after the regulatory framework for S-VACC comes into effect. Development and Expansion incentive Under the Development and Expansion Incentive, corporations engaging in new high-value-added projects, expanding or upgrading their operations, or undertaking incremental activities after their pioneer period may apply for their profits to be taxed at a reduced rate of not less than 5% for an initial period of up to 10 years. The total tax relief period for each qualifying project or activity is subject to a maximum of 40 years (inclusive of the post-pioneer relief period previously granted, if applicable). The Venture Capital Funds incentive Gains derived from the disposal of approved investments, interest from approved convertible loan stocks and dividends derived from approved investments are exempt from tax or taxed at a concessionary rate of not more than 10% for a period of up to 10 years. Extension periods of up to five years each may be available, but the maximum total incentive period is 15 years. Applicable to foreign individuals employed as managers, executives and skilled professionals. Valid for two years, and may be renewed thereafter for up to three years at a time. Generally applicable to individuals with a minimum monthly salary of SGD6,000 (as of January 1, 2018). Applicants may also apply for a pass for their dependents - such as spouses and unmarried children under the age of 21. The EP must be applied for by the employer on behalf of the individual. The average time needed to obtain an EP is five weeks and falls under the auspices of the Ministry of Manpower (MoM). Identical to the EP, but is applicable to individuals with a minimum monthly income of SGD2,200 (and maximum SGD6,000). The average time needed to obtain a SP is three weeks and falls under the auspices of the MoM. Applicable to high-earning individuals and who already have an EP or are overseas foreign professionals. The minimum monthly income for an applicant already in possession of an EP is SGD12,000, whereas foreign professionals require a minimum monthly income of SGD18,000 to qualify. The PEP allows holders to switch jobs without the need for reapplication for a pass, and permits the individual to stay in Singapore for an additional six months before securing their next job. The PEP is only valid for three years. After the three years, the individual needs to obtain an EP. The process to obtain a PEP takes roughly eight weeks and falls under the auspices of the MoM. Applicable to foreign individuals who wish to start a business in Singapore. The pass is valid for two years. The applicant may apply for it themselves. The EntrePass may be renewed if the applicant's company obtains funding from an accredited source, holds intellectual property (registered with a recognised IP institution), does research with a recognised institution, or is being incubated by a government-supported incubation programme. Applies to semi-skilled jobs in manufacturing and construction, as well as jobs in the services sector. A Work Permit is valid for up to two years and is only applicable to companies which: pay a levy and security bond, meet the quota criteria, and provide the applicant with healthcare. Work Permits do not allow for dependents and take up to seven working days to be processed. Valid for three months and applicable to individuals undergoing practical training for jobs of a professional, managerial, executive, or specialist nature in Singapore. The applicant must also earn a minimum of SGD3,000 a month. The TEP is not renewable. Applicable to unskilled or semi-skilled foreign trainees or students on practical training in Singapore for up to 6 months. Students are subject to a levy. An employer may only have 5% of its total workforce or 15 employees (whichever comes first) working under TWP regulations. Foreign Worker Levy (FWL): The FWL is a monthly levy of up to SGD950 that employers are liable to pay for each foreign employee hired. 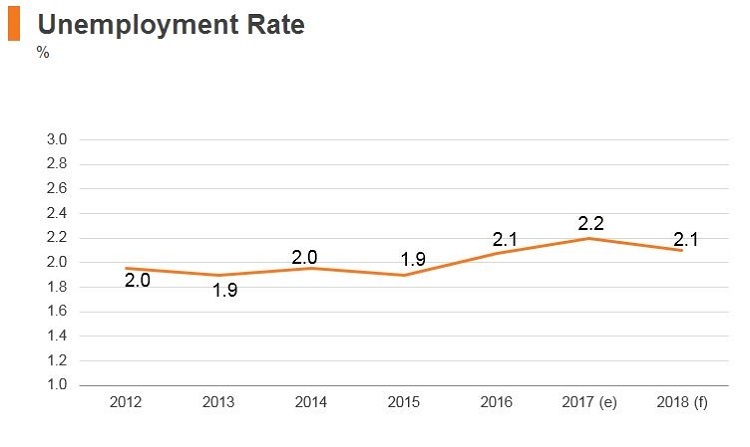 The levy rate depends on the employee's qualifications, the employer's industry, and the ratio of foreigners to Singaporeans and permanent residents employed in the company. The government has announced that levy increases for work permit holders in the marine and process sectors that were originally proposed for July 1, 2016 will be deferred for yet another year until July 1, 2019. Payroll taxes: Singapore does not have payroll withholding. When a non-Singapore citizen employee stops working in Singapore, leaves Singapore for an overseas posting, or leaves Singapore for a period exceeding three months, the employer needs to notify the Singapore tax authorities once the fact of cessation/departure is known to the employer, unless the employer is bearing full Singapore taxes for the employee, and withhold all money due until tax clearance is issued. The notification must be made no later than one month prior to the date of departure, or two months from the date of cessation/departure where the employer is bearing full Singapore taxes for the employee. Non-Singapore citizen employees are also subject to tax on unexercised or unvested stock options or awards on a deemed gain basis when they cease employment or leave Singapore. 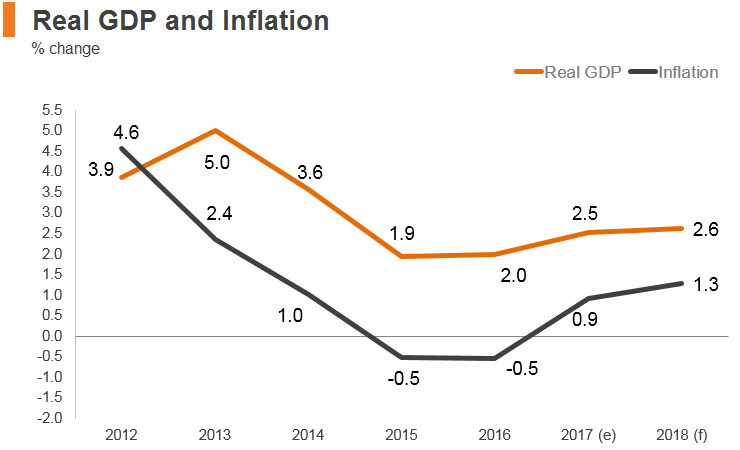 Singapore's strong fundamentals suggest that the city-state will remain a top choice for investment due to its business friendly environment. Key supporting factors will be the government's sound economic policy, a highly skilled workforce, a superior business environment and financial services industry as well as the city-state's strategic location in Asia. 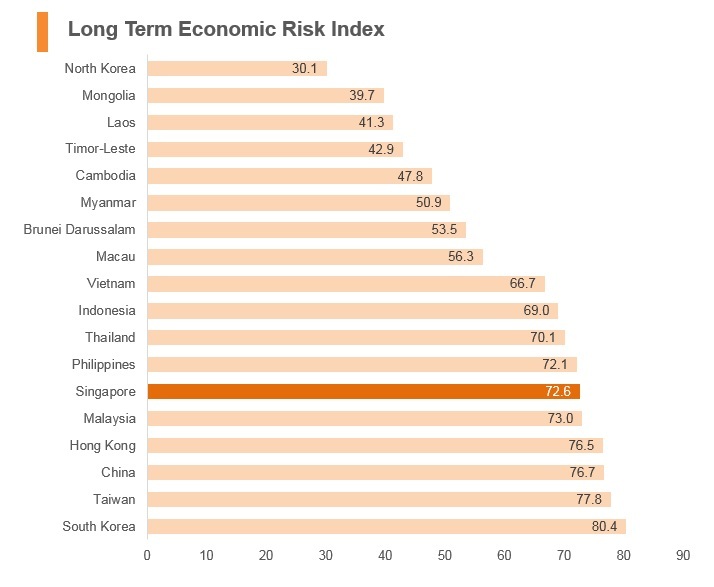 Key constraints include the economy's reliance on the external sector and Singapore's ageing demographic profile. 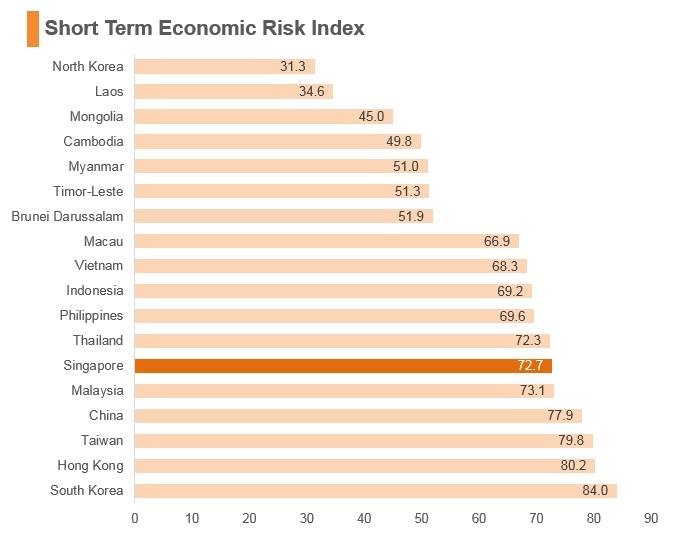 Singapore is the most appealing destination for investment in the world. This is largely because the government has successfully developed the city-state into a major global hub for trade, investment and finance by providing a highly productive workforce, a stable and secure operating environment, world-class logistics connections, and an open economy with policies that are highly conducive to foreign direct investment. 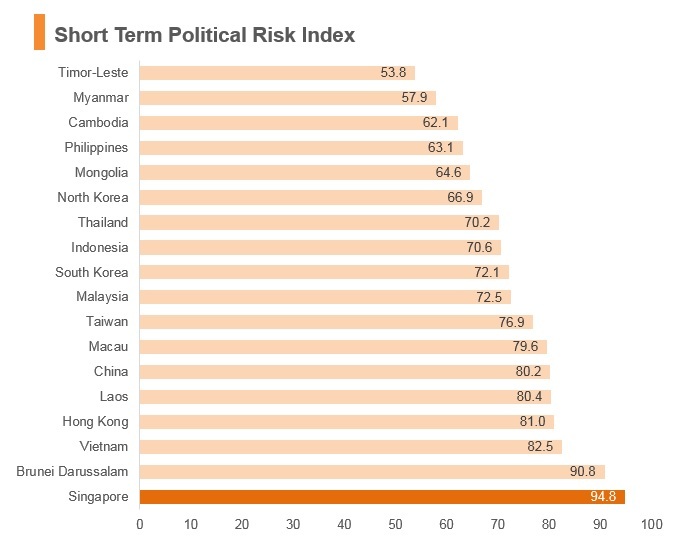 There are limited risks facing businesses located in Singapore, with the main concerns stemming from increasing restrictions on the employment of foreign nationals, moderate cybercrime risks and significant exposure to economic headwinds. The Singapore Chamber of Commerce (Hong Kong) was incorporated in Hong Kong in September 1995 with the support of the Singapore Consulate-General, the then Singapore Trade Development Board, the Singapore Economic Development Board and the Singapore Tourism Board. Hong Kong SAR passport holders have been granted visa-free or visa-on-arrival for Singapore. This visa-free arrangement is valid for 30 days from entering into the country.